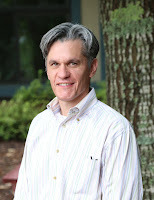 Jeff Kalil joins Carolina Day School as their new Middle School Principal. He says he’s delighted to join the Wildcat community beginning this fall. “I look forward to working with a team of faculty who clearly know and love children at this stage of development, who are passionate about sharing their expertise in content and skills, and who take considered risks in a continual effort to improve their teaching,” said Kalil. Kalil has worked with middle school children for almost 25 years. He began his teaching career at Hazelwood Integrated College, while studying as a Thomas J. Watson Fellow in Belfast, Northern Ireland. Upon returning to the States, Kalil was admitted to Teach for America and placed as a Washington, D.C. corps member, where he completed a two-year commitment to the students of Abraham Lincoln Multicultural Middle School, an under-resourced public school in the Mount Pleasant neighborhood. It was at Lincoln where Kalil learned to motivate reluctant learners, develop academic and outdoor education curriculum from scratch, and advocate for schools with grantors. Kalil then began a 15-year career as a middle school teacher and administrator at Georgetown Day School, a Pre-K/12 independent school on the northwest side of the city. Georgetown Day is known for its commitment to social justice work and its creation of engaged citizens. Most recently, Kalil was the Middle School Director at The Orchard School in Indianapolis, Indiana, an independent school with historical and lasting ties to the Progressive philosophy of educational reformer, John Dewey. In all these varied settings, Kalil has practiced and fostered an engaging, experiential approach to teaching, learning, and curriculum development. Kalil earned a Bachelors of Arts degree from Haverford College (Haverford, PA) in Philosophy and an MALS from Georgetown University (Washington, D.C.) in Theology and Religious Studies.